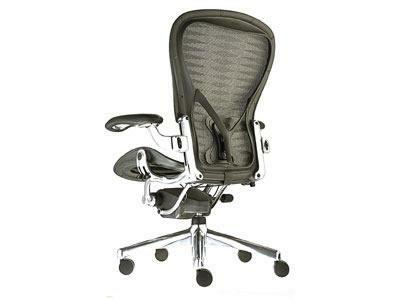 The office chair up until the last few years has always been overlooked in regard to it's place in the office. With the onset of computing, time in our chairs, for most office staff, has increased 10 fold. This has resulted in a new set of problems for health and safety. Constantly sitting in one position is not good for you. Back, shoulder and neck problems, restricted blood flow to the legs, are all attributes of sitting for a long time. The modern day chair has to be able to cope, not only with these issues, but also, the fact that every single person is different in every way! Weight, size, shape and the office chair has to be able to fit all these variations. Chairs have to offer three basic features, height adjustability, independent adjustable back, height and rake, and has to be design with ergonomic relief for working at VDU's. BS EN ISO 9241-5 is the guidelines laid down to ensure that all chairs for use with VDU's meet with these criteria. 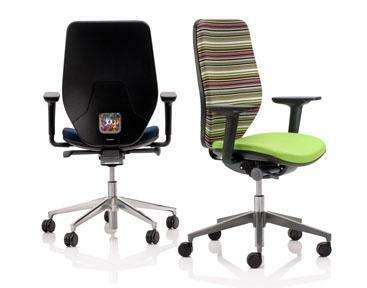 The more features a chair has the better it will be able to suit the individual user. A sliding seat for the longer of leg, and syncro tilt seat will help relieve pressure on the back of the legs. The height adjustment means that the chair can suit the variations in height, so as to get all sitting at the optimum height to see their screen. A foot stool is also essential for those having to sit at the upper limits of the chair, this also relieves the pressure on the back of the legs.